Benefits of avocado oil are worth looking into for your skin! Avocado oil penetrates through the epidermis and into the dermis layer of the skin and it is one of the most penetrative of all natural plant oils. This results in extremely soft and hydrated skin and due to its humectant properties, this moisturizing effect is long-lasting. One of the most important skincare benefits of avocado oil is its ability to soothe itchy and dry skin. The oil is easily absorbed by the skin and it can act as an excellent moisturizer or a skin care agent. 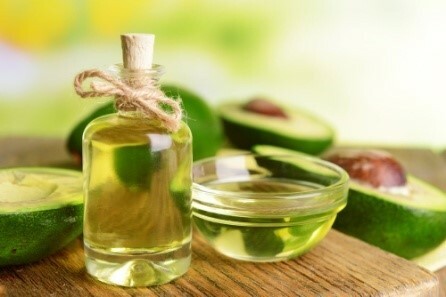 Avocado oil can be used as a natural treatment for skin conditions such as eczema and psoriasis. The oil accelerates the healing of wounds. Avocado oil is especially useful for a sun damaged and dehydrated skin. While most skin types can see real benefits by using avocado oil, those with dry or mature skin are likely to see an even more noticeable difference. When applied topically and constantly, it is reported to be effective at reducing age spots and helping to cure slight scarring and more long-term sun damage to the skin. The main reason for all of these skincare benefits of avocado oil might be the way it helps increase the collagen production within the dermal layers. Collagen is the connective protein that binds our skin together and youthful skin contains high levels of it. Collagen is very important in ensuring that our skin stays firm, smooth and rejuvenated. When used topically on the skin, the oil naturally activates the production of collagen by the skin. In addition, it shields the skin against wrinkles, fine lines and other signs of aging. Ever wondered about the skincare benefits of Green Tea?